Tomorrow sees us play our fourth and last Premier League game between the first two international breaks of the season with Huddersfield Town our opponents at the Turf. We went into the last break on the back of a 2-0 home defeat at Manchester United and returned with a 1-0 loss at Wolves, but there has been a recovery since, provided you don’t mention the League Cup, with a thumping, record breaking home win against Bournemouth and a less convincing, but equally important, win at Cardiff last Sunday. They are two wins that lifted us to 12th place in the table, this having dropped to bottom after the Wolves loss. Tonight, Brighton moved above us but a win tomorrow would see us at least go back into that twelfth place. A win would set us up nicely for the next group of matches prior to the final break of 2018. That will see us play three of the four away from home with the one home game against Chelsea following our trip to Manchester City. It was difficult coming back from Wolves three weeks ago and seeing the table, something that Charlie Taylor, who is currently preferred to Stephen Ward at left-back, agreed with. “Looking at it two weeks ago it wasn’t really a pretty sight and wasn’t great to see Burnley so low, especially after last season,” he said. Taylor has started 14 Premier League games for us but it is only in the last two that he has broken his duck and finished on the winning side. The only previous occasion was last season against Stoke when he came on as a sub in the 1-0 win that sent us fourth in the table. Having got that monkey off his back, he’ll surely be much more confident. He’s been on the pitch in all of our Premier League games this season and has started the last four; that should become five tomorrow. Sean Dyche has suggested that James Tarkowski is touch and go; that usually means he won’t play for a few weeks so it will be interesting to see whether he makes it onto England duty. Robbie Brady has had a setback and missed out on an under-23 game in midweek, while fit again Steven Defour is rated doubtful due to a personal issue. On the positive side, Ben Gibson isn’t far away and should play an under-23 game by the end of this international break. Should Tarky and Defour be ruled out, I’d expect the team to be: Joe Hart, Matt Lowton, Kevin Long, Ben Mee, Charlie Taylor, Jόhann Berg Guðmundsson, Ashley Westwood, Jack Cork, Aaron Lennon, Matěj Vydra, Sam Vokes. Subs: Tom Heaton, Phil Bardsley, Stephen Ward, Jeff Hendrick, Dwight McNeil, Ashley Barnes, Chris Wood. Huddersfield ended last season in 16th place in the table. Things weren’t looking too good for them with three games to go with them still to play Manchester City, Chelsea and Arsenal but, as it happened, they didn’t need the points although they got two from creditable draws at the Etihad and Stamford Bridge. They were hoping that those results would help kick start a better season this time round but it hasn’t started as well as they might have hoped. They have just two points from their first seven games, those coming in a 0-0 home draw against Cardiff and a 1-1 draw at Everton in the next game. They’ve only scored three goals to date, but all three of them have come in away games with them still to register a single goal at home. Those results have left them bottom of the league although all three clubs in the relegation places have just two points. The biggest concerns for Huddersfield ahead of tomorrow’s game were injuries to defenders Terence Kongolo and Christopher Schindler(pictured above). They’ve had good and bad news. Kongolo will be out for four to five weeks with a hamstring injury but Schindler looks set to play having trained today. Danny Williams and Ramadan Sobhi are on their way back from injuries but aren’t ready yet while Hamid Sabiri has an ankle knock which will rule him out while Tommy Smith is not expected to return until after the international break. They lost 2-0 last week at home to Spurs and they lined up: Jonas Lössl; Terence Kongolo (Florent Hadergjonaj), Christopher Schindler (Isaac Mbenza), Mathias Zanka; Chris Löwe, Philip Billing, Jonathan Hogg, Aaron Mooy, Erik Durm; Alex Pritchard (Steve Mounié), Laurent Depoitre. With both games last season ending 0-0, the last time a goal was scored in a top flight game between the clubs was in 1971 when a Colin Waldron goal gave us a 1-0 win at Leeds Road. We’d made a good start to the 2017/18 season. After five games were seventh with eight points from those opening games. Huddersfield were one place higher, ahead of us on goal difference, but this was no game between two high flyers. Despite being the better side by some distance in the first half, we weren’t able to penetrate the defensively minded Huddersfield who were well marshalled by Christopher Schindler. Huddersfield did improve in the second half but we still looked the more likely. Embed from Getty ImagesThe one big talking point was Rajiv van La Parra’s dive that thankfully was spotted by referee Chris Kavanagh. He yellow carded the Dutchman for simulation while he was condemned by Sean Dyche who was strongly backed by Gary Lineker on Match of the Day and Iain Dowie on Sky. Dyche also said that Steven Defour was by miles the best player on the pitch. I think you’d have struggled to find anyone to disagree with that. But a disappointing 0-0 draw it was. 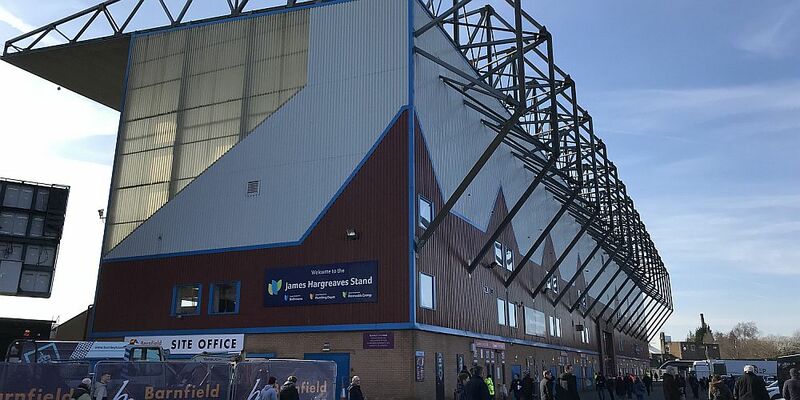 Burnley: Nick Pope, Matt Lowton, James Tarkowski, Ben Mee, Stephen Ward, Robbie Brady, Steven Defour, Jack Cork, Scott Arfield (Jόhann Berg Guðmundsson 77), Jeff Hendrick (Ashley Barnes 74), Chris Wood. Subs not used: Adam Legzdins, Phil Bardsley, Kevin Long, Ashley Westwood, Sam Vokes. Huddersfield: Jonas Lössl, Tommy Smith, Mathias Jorgensen, Christopher Schindler, Chris Löwe, Jonathan Hogg (Philip Billing 80), Aaron Mooy, Elias Kachunga (Florent Hadergjonaj 89), Abdelhamid Sabiri (Rajiv van La Parra 63), Tom Ince, Laurent Depoitre. Subs not used: Rob Green, Scott Malone, Dean Whitehead, Michael Hefele.